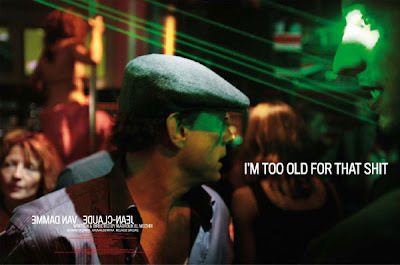 Jean-Claude Van Damme: I’m 47 years old and it is very difficult for me to do everything in one shot. 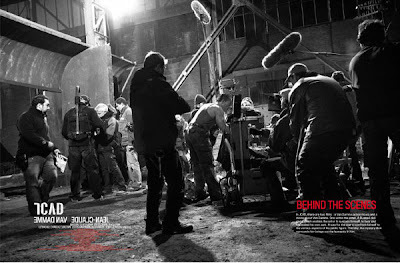 Director (in Japanese): He still thinks we’re making “Citizen Kane”. My personal experience with Jean-Claude Van Damme is fairly specific. I may have seen BLOODSPORT more than a dozen times when I was teenager. This is not because I particularly enjoyed the film (although I must admit that image of Van Damme doing the splits in his underwear across the kitchen counter tops has never quite left my head); no, the reason I’ve seen the Van Damme classic so many times has a lot more to do with laziness than anything else. My younger brother, he was the one with the obsession. He’s seen that movie countless times and I was just too lazy to get off the couch sometimes when he would throw it on yet again. While the splits may have left their impression, I never saw Van Damme as anything more than an action star joke. After watching JCVD though, it would appear that the joke has been on me all along. JCVD is an entirely unexpected experience. Quite frankly, I don’t see how it could be anything else. I mean, what would you be expecting if you found yourself paying to see the latest Van Damme movie? Explosions? Fighting? Poor pronunciation? What would you say if I told you that you got all of that and so much more? 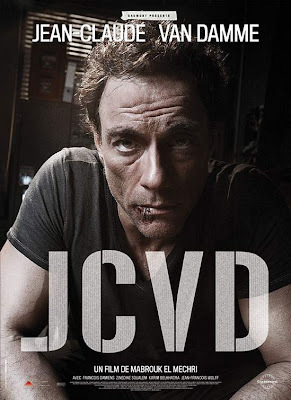 JCVD is a clever and engaging piece from director, Marouk El Mechri, that casts Van Damme as himself in a fictional scenario that rings so loud at times, you might think it to be hard truth. Van Damme, having fallen into obscurity, or at least fallen from Hollywood’s good graces, if those actually exist, and is now making quick and easy action pics for even quicker money. He is in the midst of a bitter custody dispute over his daughter and he has simply had enough. He decides to slow his life down and focus on what matters. He just has a few bills to settle first. He walks into a post office in Brussels (where the muscles originates from) and suddenly finds himself in a hostage situation. The police believe he is one of the robbers though and instantly, the world is watching. Inside though, this famous action star is just another person with a gun to his head. The hero has become the victim. I’m really liking Black Sheep Reviews a lot.